Junius on UKIP: >Farage Prepares Batten's Downfall. And so, now we know! It appeared odd that the matter of Gerard Batten's bizarre 'Muslim Charter' should be ressurected by the press after almost 4 years. This is, after all, not news. Now we can reveal how it happened. Step forward - the UKIP press office. 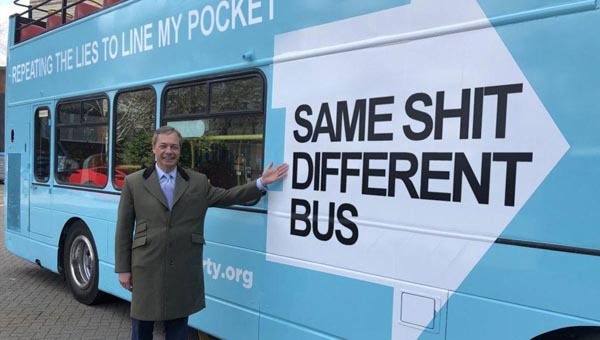 Farage wants Batten out, and this is his way of doing it. How quick he was to get his attack on Batten into the media. Just 24 hours, not bad at all. But then it was choreographed. First Bloom, then Batten. Who next? Agnew or Dartmouth, we predict.